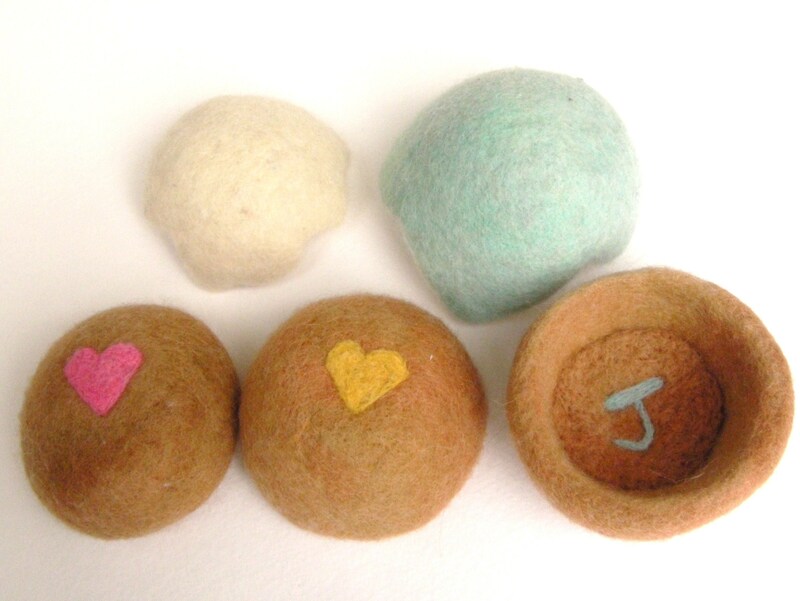 I’ve been spending a bit more time needle felting, now that I’ve dyed my wool and have a whole new grip of needles. Fortunately, I have a very supportive husband and he spent the majority of his weekend helping ME with all my felting needs. Being that Valentine’s Day is a short ways from today, I thought a little couple sharing wouldn’t be to unbearable. 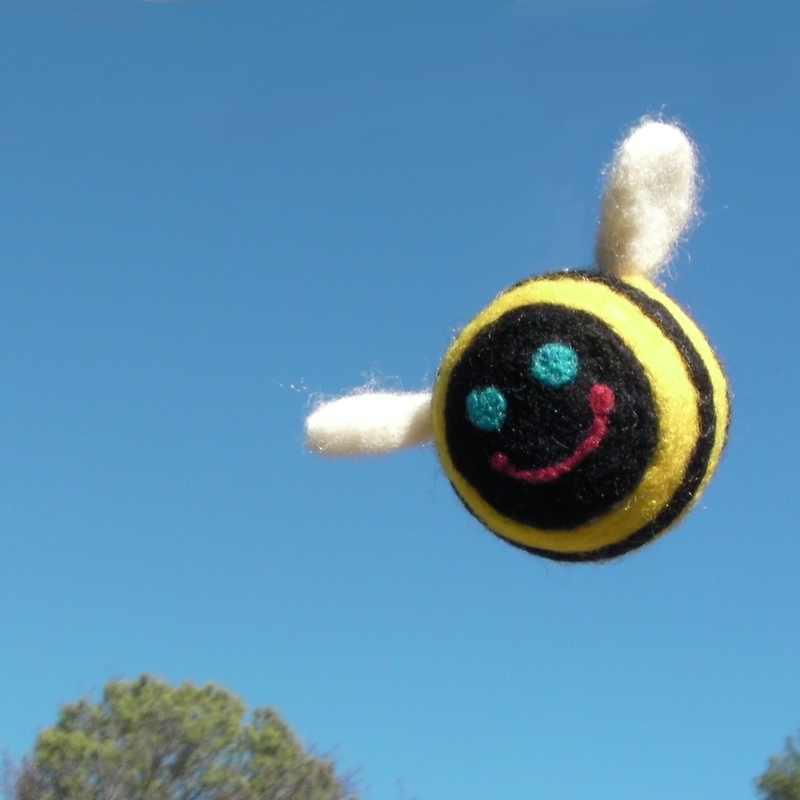 Saturday, I started the day by going outside and trying to get clean shots of some of my felted creations, it was a bright shiny day and all my pictures turned out so wrong. Turned out 400 ISO in extreme sunlight is not the best option to use on a day like this. I returned from the photo shoot, loaded my pictures up and was disappointed. My husband quickly put on his shoes and offered his hand at helping me. Of course, the simplest way to fix it was to simply say lower that ISO to 200 or 100; however, he went above and beyond and came up with some cute ideas as well. 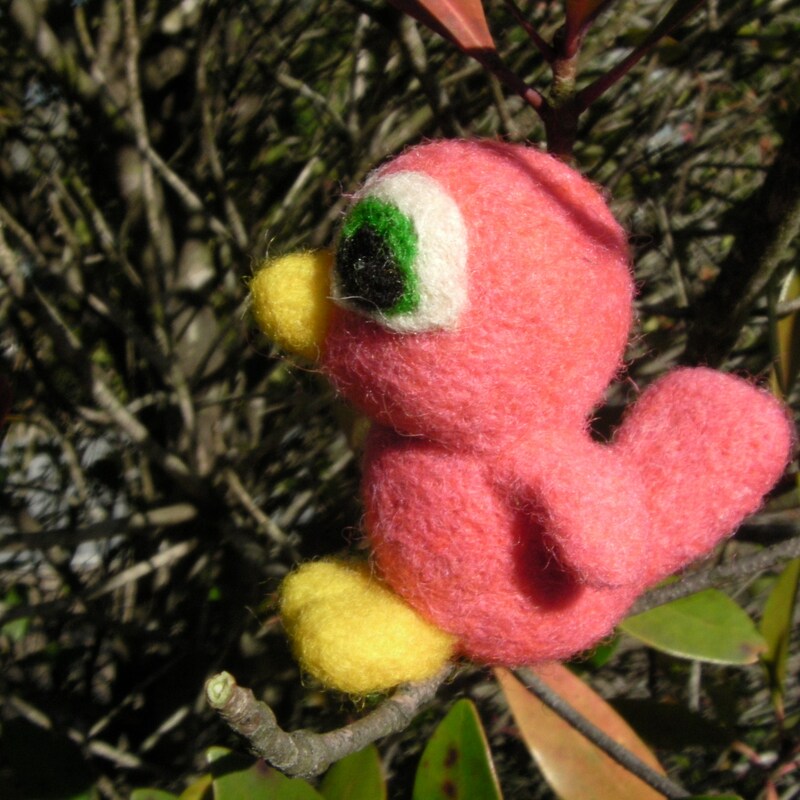 Here is my pink bird sitting amonst a thicket of bush. And here is my bumblebee soaring through the air; it looks like magic, but I bet you can guess how we did it! But wait, he didn’t stop there. During some television watching, I decided to felt a bit. I was surrounded my children and the needles are so sharp. I didn’t want to sit my felting needles next to me on the sofa or coffee table for fear my 2 or 5 year old would be too curious. 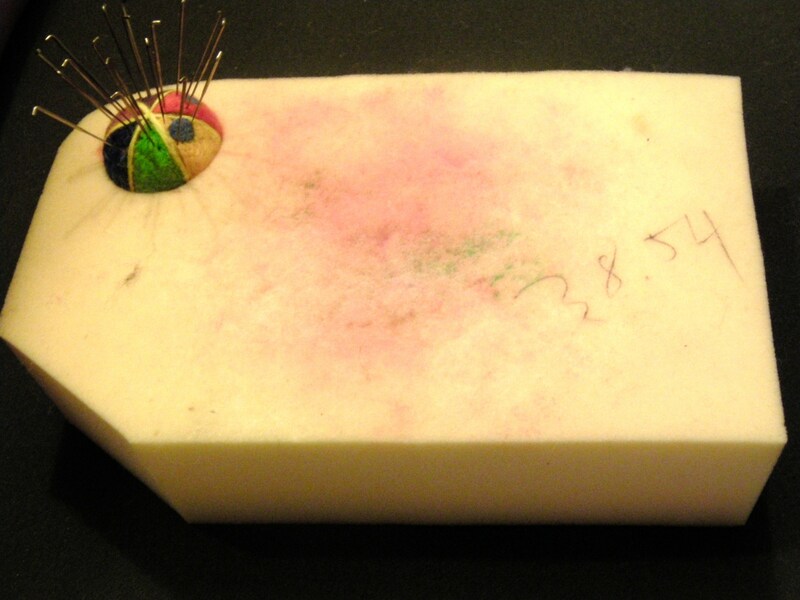 I suggested “if only there was a way to nestle my felting pin cushion on the corner of my foam pad”. He popped right up and made a little indention in my foam pad to hold my pin cushion. Fantastic, it works great! But there was still more, he even cleaned up the edges of my foam pad which had become tattered and torn(the work of tiny hands I’m Sure!). He started with a bread knife, a bit of improvement; then he searched the web and the suggestion for cutting foam pads was an electric knife. We do not have an electric knife, then “ding, ding, ding” a bell went off in my husband’s head. Off to the garage he went, powered up his band saw and those edges were very neat and straight in no time. Thank you Landon! 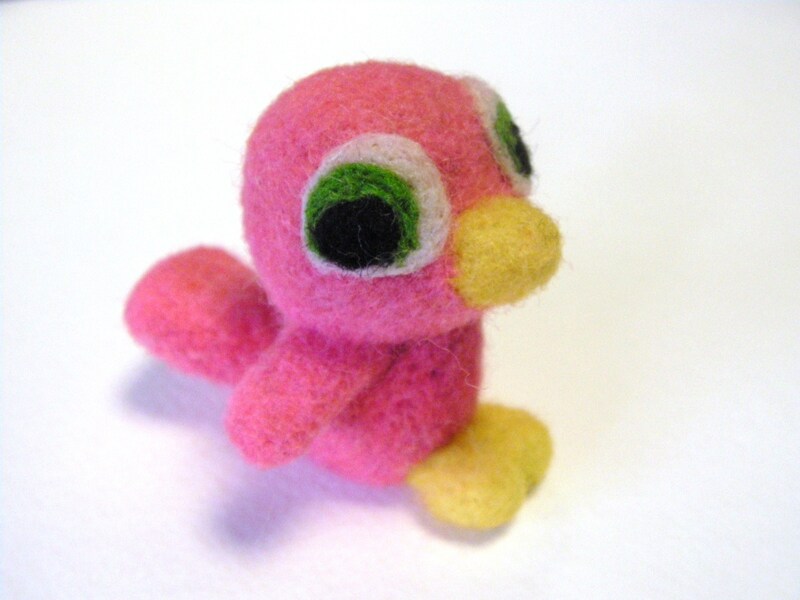 Here she is; the newest addition to my felting madness. A bubblegum colored, super soft, innocent faced, baby bird. Just look at those tiny little wings. It looks like this one is about to take off! I went a little crazy with the coloring this time. NO, I have never seen a pink bird before! 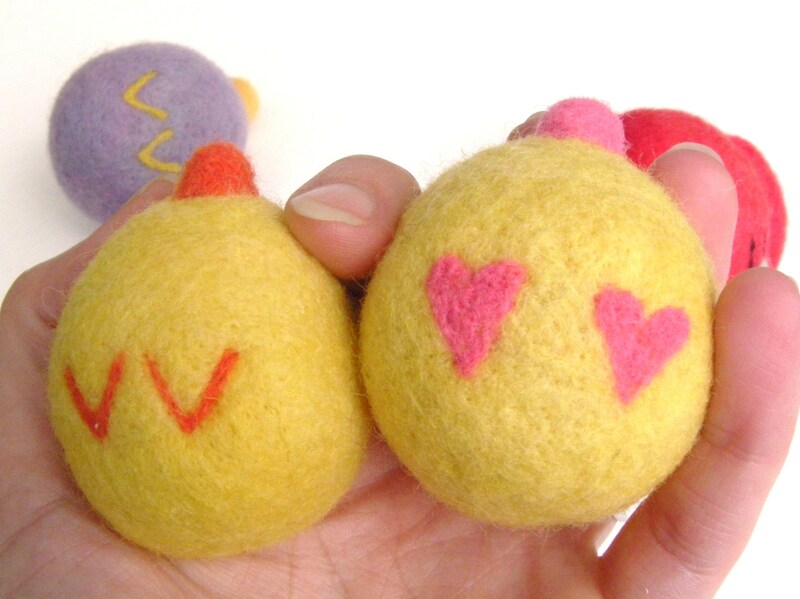 I had this color sitting around in my color palette of felt; this pink felt was previously assigned to mouths or ears. But, I was really drawn to this color when I sat down to create this baby bird; realistic or not, I stuck to my urge and she is quite the cutie. Slightly off-putting, a bubblegum colored bird, but I had to let my imagination run wild. 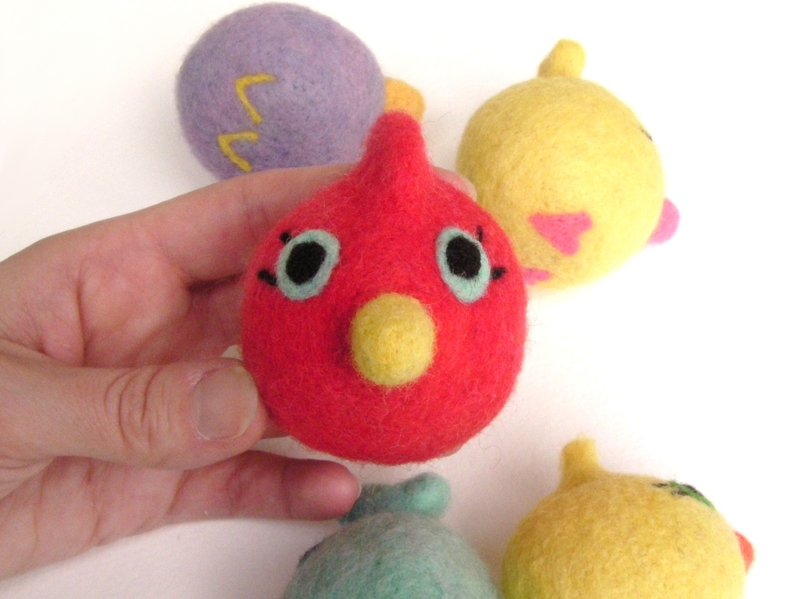 This bird toy was created as part of a future set. The mother bird, a blue bird, was created last week. 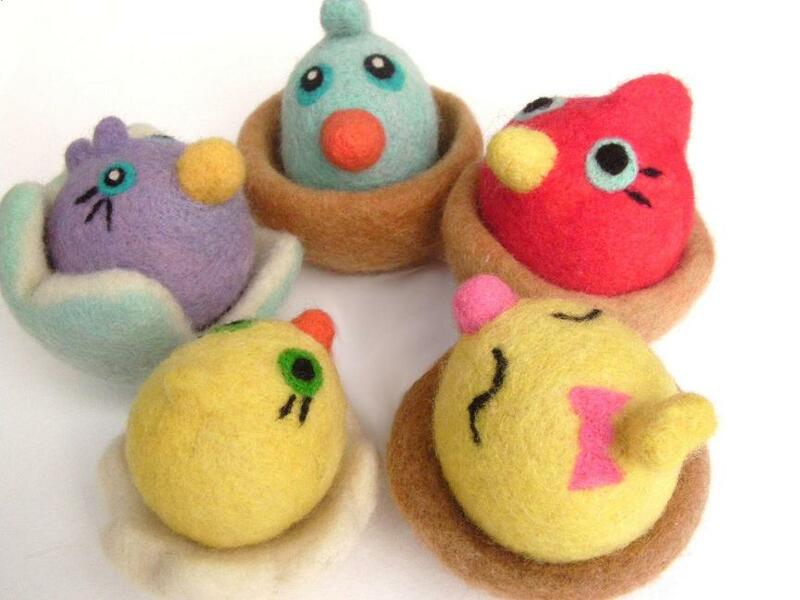 And in the near future, I will create a lovely, cozy felted bird nest for them to lounge about in. I guess only time will tell when I actually get that nest built; but I better hurry before this bubblegum pink bird takes flight! 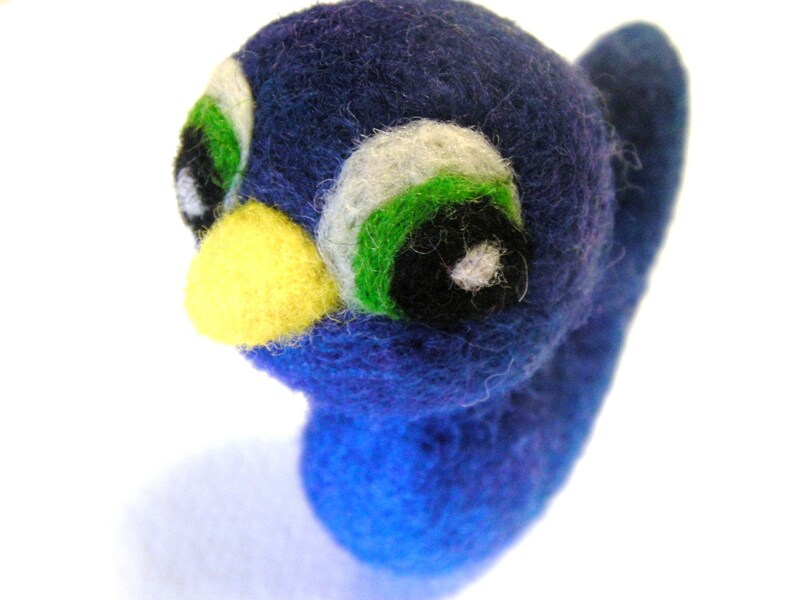 Hello there, today I’m sharing my felted blue bird with the world. She has no wings and more of a duck shaped body; but trust me, she is a BLUE BIRD! I really wanted to keep this bird simple in design because I’m going to be adding some accessories to this little girl. 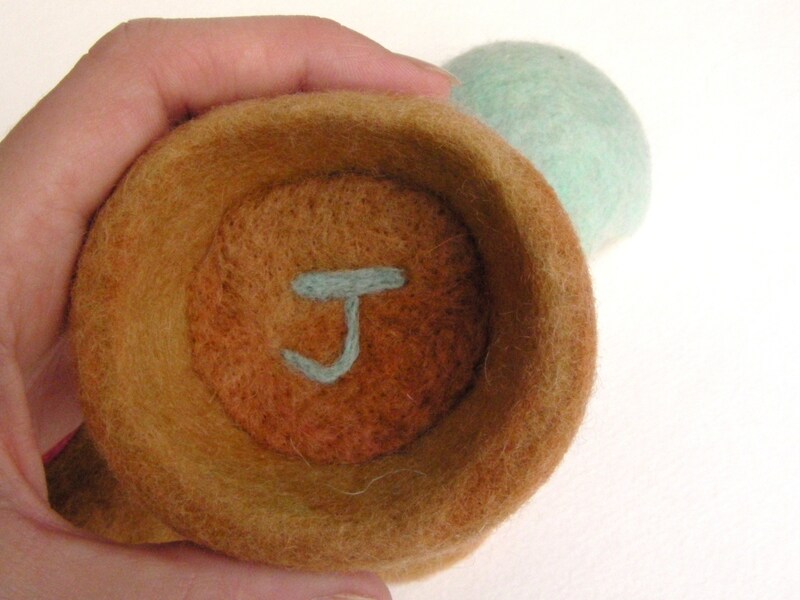 I will be felting a nest in the near future and I’m in the process of creating a baby bird for her to share this nest with. My favorite parts of this bird are her royal blue coloring and those amazing green eyes. Hopefully her baby will be just as adorable and pleasing to the eye and touch. Next week, I will share the results of my creation.